Interesting things are happening in this chart of the top 20 best-selling kids’ graphic novels, based on NPD BookScan data for October (9/30/18-10/27/18) provided to ICv2. 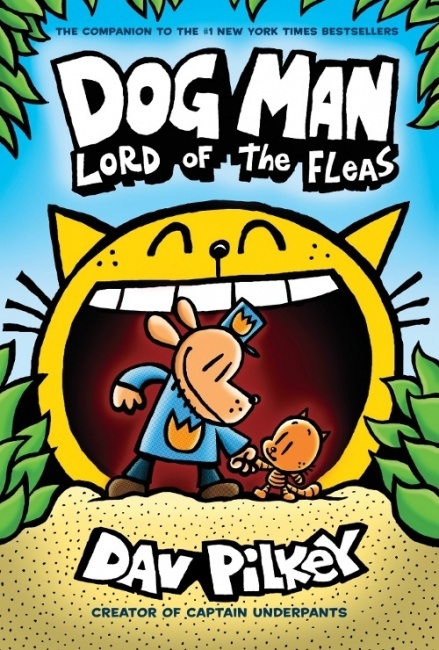 After months of basically owning the top of the chart, Dav Pilkey’s Dog Man books are sharing that territory with two other books, Volume 8 of Amulet and Volume 6 of The Baby Sitters Club, elbowing their way into the top 5. Amulet is in the #3 spot for the second month in a row, showing that Kazu Kibuishi’s fantasy tale still has plenty of appeal to readers, even eight volumes in. Meanwhile, Volume 6 of The Baby Sitters Club has moved up two places, to #5. This is Gale Galligan’s second volume of the series (she took over from Raina Telgemeier), and readers seem to be OK with that; Volume 1 (by Telgemeier) and Volume 5 (by Galligan) are on the chart as well, in the 16th and 17th slots. Jarrett Krosoczka’s Hey, Kiddo, a National Book Award finalist, debuts at #15. Krosoczka’s memoir of a childhood spent in his grandparents’ care because of his mother’s drug addiction is powerful on the strength of its story alone, but also a masterful piece of cartooning. 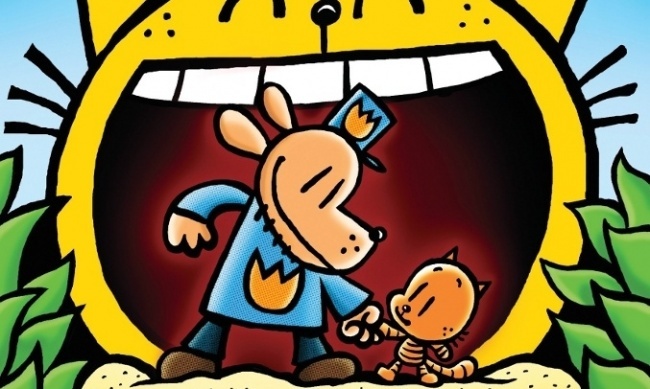 Although it does have its funny moments, be warned that Hey, Kiddo is very different from Krosczka’s zany Lunch Lady graphic novels. In terms of publishers, Graphix dominates this chart even more than usual: usually between 10 and 12 of their books are on the chart, but this month it is 15. The other titles on the chart are pretty solid. The latest entry in Nathan Hale’s Hazardous Tales, a bio of the Marquis de Lafayette, debuts at #12. That’s a series that middle-graders can’t seem to get enough of. Big Nate Goes Bananas! moves up a notch to #8. The first volume of The Last Kids on Earth returns after dropping off the chart for a month. And down at the bottom of the chart, PopularMMOS Presents: A Hole New World continues its slide down the chart to #19, and Book 1 of Phoebe and Her Unicorn pops up in the #20 slot. What’s missing? Terri Libenson’s Invisible Emmie slipped off the chart in September, and this month her Positively Izzy is gone as well.